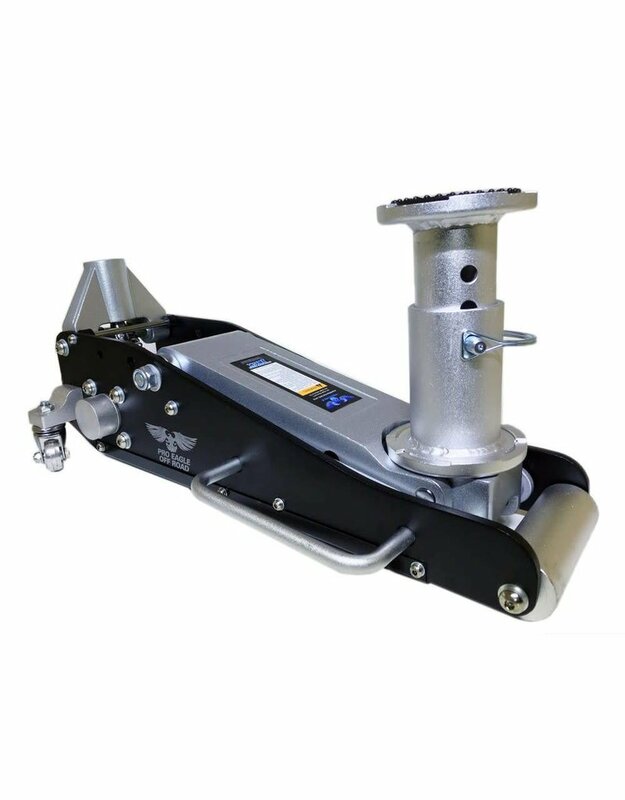 Pro Eagle designed the 2 ton Off Road Jack to be just as useful on the trail as it is in the garage. The built-in sand plate gives flotation on sand, mud and loose gravel but does not interfere with the wheels allowing it to roll on solid ground. 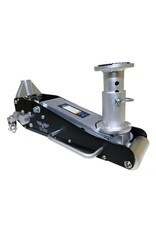 Also included is the adjustable extension (adjusts from 4" - 8") to give you added lift height. The extension locks into the included cradle when not in use, then attaches to the lift point when extra lift height is needed.